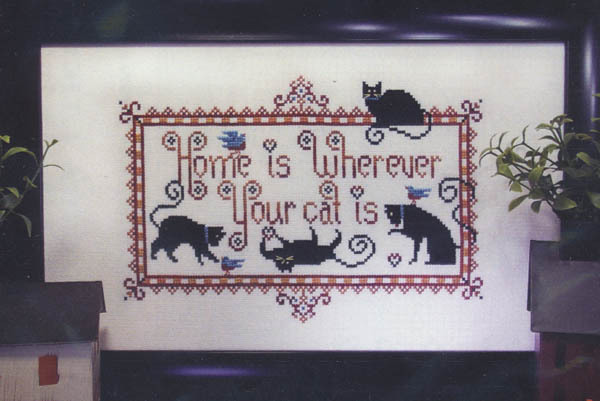 Four Black cats - "Home is Wherever Your Cat Is". Count: 141 x 93. Model stitched on 28ct white Zweigart Evenweave. Inches: 9 7/8" x 6 1/2"